Design – fashion – lifestyle. 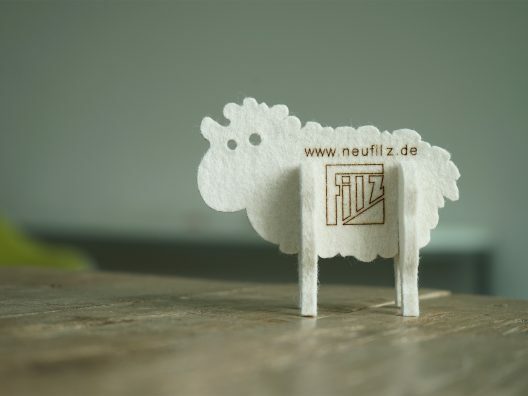 Nice things made of felt can be seen everywhere – in hotels, bars and restaurants, schools, offices and conference rooms. And in doctors’ practices, museums, churches, clinics, and of course at home too! In recent years, felt has become an ever more popular material due to its excellent properties. 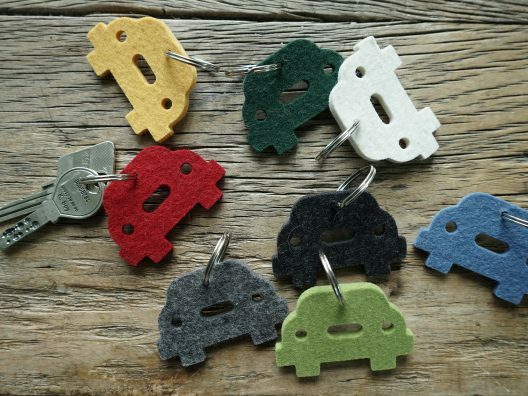 With its multi-faceted range of applications, felt products can increasingly be found not just in fashion, but also in interior design, the design of home accessories and in other creative sectors. 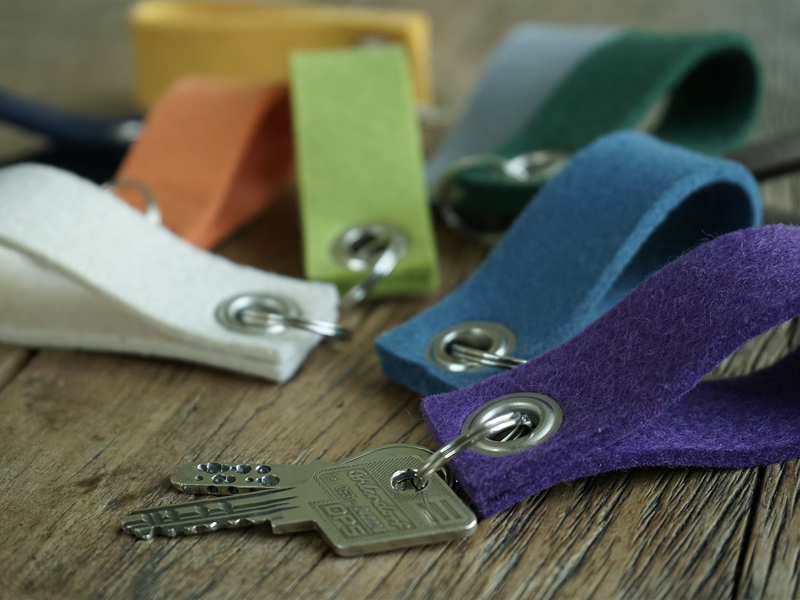 The great colours available in the areas of decorative, craft and designer felts allow our customers to create attractive accents and contrasts. Felt – a real trendsetter! With its malleability and elasticity, felt both protects and strengthens when used as part of insoles and inlays. Felt has a very wide range of applications thanks to its acoustic and thermal-insulation characteristics. Slippers are generally colourful – and with felt, they are breathable and perspiration-absorbing at the same time! 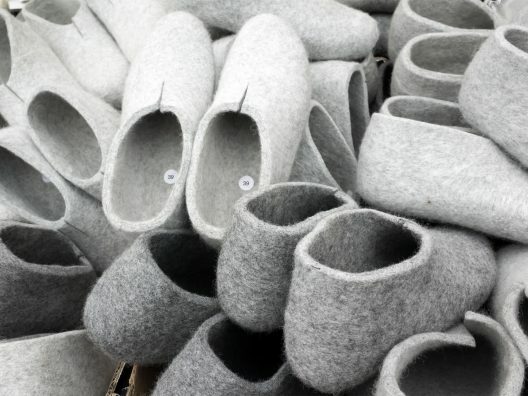 Felt is a very popular material for slippers. It can be used both on the inside and outside of indoor footwear. Everyone likes to have warm shoe inlays for winter – and felt can deliver just this! In cold northerly locations, inner shoes made of felt are often worn inside winter boots. These are very popular among rescue workers and firefighters in Canada, for example. 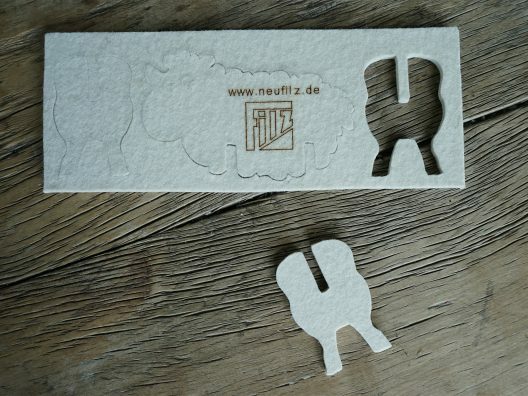 Anti-slip versions of felt inlays can be made for use inside boots and waders. When properly cared for, felt shoes can provide a lifetime of enjoyment and comfort for their owners. Self-adhesive felt disks and cut shapes can be used to protect vulnerable surfaces in the home. Anywhere that doors, drawers or other sliding parts could hit against walls or other items of furniture, felt disks and cut shapes can provide the necessary cushioning. Wool felt is very suitable for this purpose thanks to its durability and elasticity. 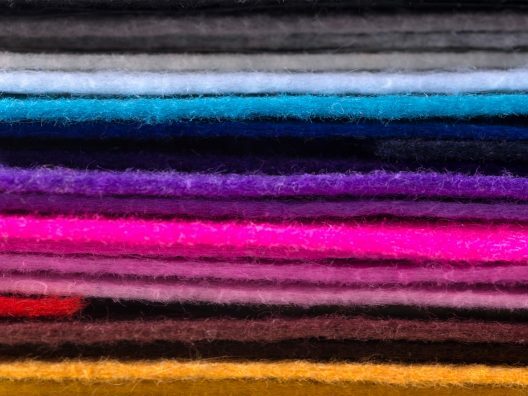 The ease of working with craft felts and the wide range of colours available make felt an ideal material for all types of craft and manual work – such as wallets, purses or as felt covers for notebooks. 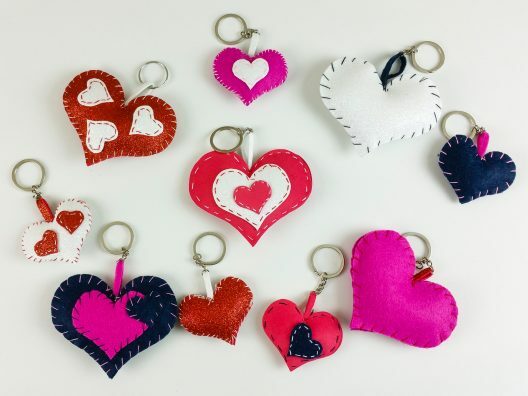 Bags and folders, lettering, numbers, window decorations, keyrings and jewellery are also popular items made with felt. Felt has also become very popular for use in interior design in rooms, halls and foyers. It is used not just for decorative reasons, but also because of its good sound-absorbing properties! 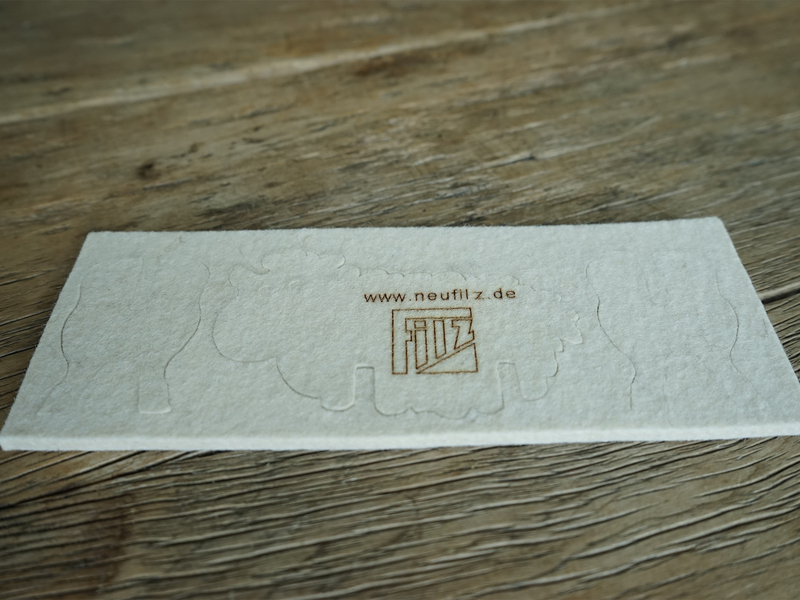 Felt can now also be found in acoustic panels on walls or ceilings. Thanks to the range of colours and shapes available, these panels can blend in well with existing architectural features. Thus there are almost no constraints on decorative wall elements or pictures in terms of form or colour. Items of furniture – such as sofa covers, armchairs, the surfaces of room dividers and curtains – are increasingly being made from or with decorative design felts. 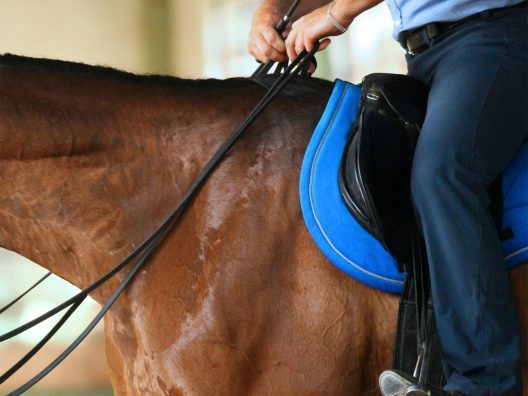 Saddle pads made of felt have been in use in equestrian sports for many decades. 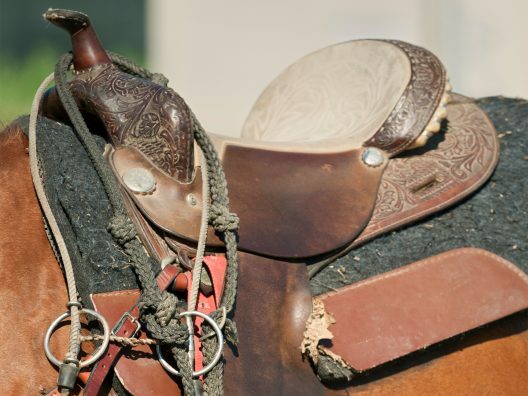 However, less attention has been focussed on felt saddle pads in recent years – particularly with regard to the care, sustainability and durability of these items. In contrast with synthetic materials, felt can absorb the horse’s perspiration and guide it away from the skin. By using appropriate material thicknesses, an excellent distribution of forces between the saddles and the rider can be achieved. Irritating seams can thus be cushioned and avoided. Saddle pads in natural tones continue to be popular, while coloured felts can also add the required aesthetic touch. Saddle pads can be produced in various types (saddle pads, rodeo pads and vaulting pads) and with customised saddle shapes. A template is often all that is required for us to be able to produce customised saddle pads – which can also include leather straps or colour features (e.g. initials or crests). When properly cared for, saddle pads made of felt can provide a lifetime of enjoyment and comfort for their owners. Felt has traditionally been used in the production of toys of all kinds (e.g. dolls and play blankets). Today, more and more toy manufacturers are making use of felt again as felt is a very environmentally friendly product. Felt cloths are available in many different colours and can be used to dampen noise and vibrations in dice cups, for example. 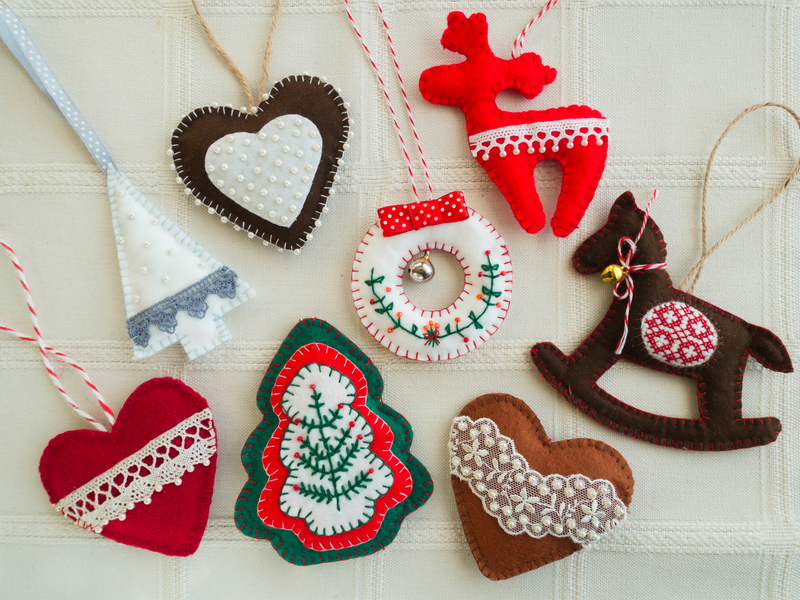 Seasonal decorative items are very popular at Christmas and Easter – whether as decorative giveaway items on a dinner table or as table runners, table sets or coasters. 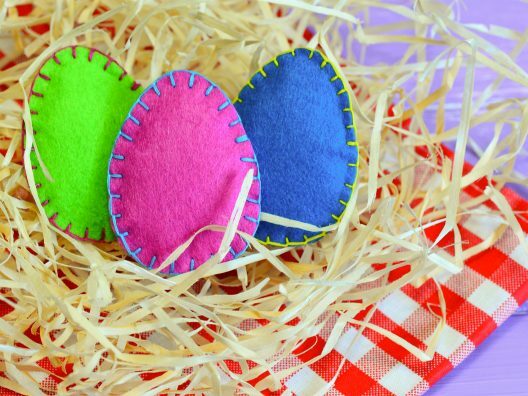 Craft felts continue to be very popular in kindergartens and primary schools, as felt is easy to work. Design and decorative felts are also used on keyrings and other giveaways. 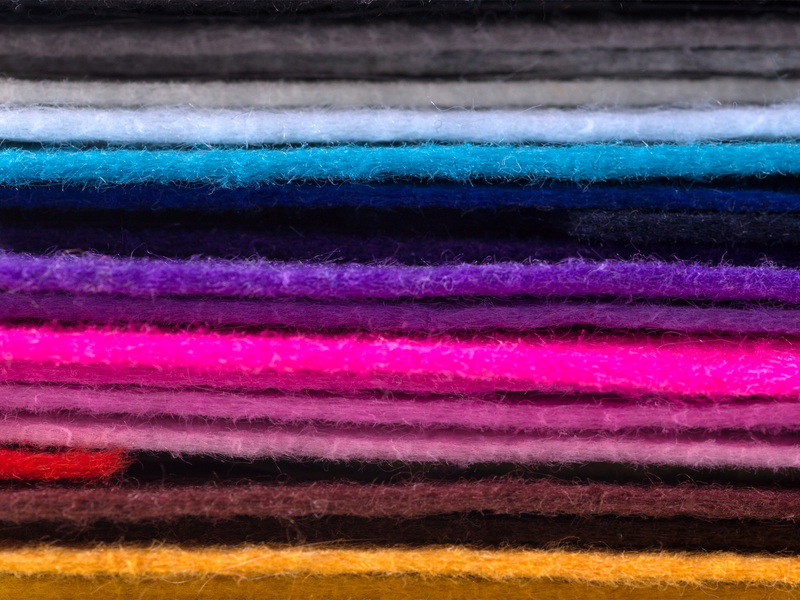 Covers made of high-quality wool felts for mobile phones, laptops and tablets not only look great, but also protect these electronic devices against impacts or sharp edges. When properly cared for, covers and pouches made of felt can provide a lifetime of enjoyment for their owners.